The switch over the 5V is in fact my Arduino. A HIGH will turn on the relay and a LOW will turn it off. 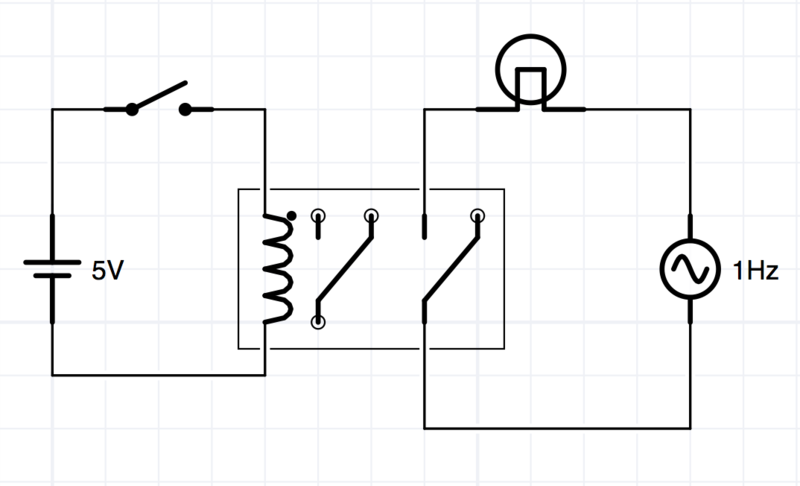 This circuit also works fine, the lamp is turned on and off by changing either switches but the Arduino loses track of the status of the lamp. The only thing it knows is if the relay is on or off. Is there a simple way to tell when the lamp is on? If you add an optical sensor appropriate for the lamp (UV, IR, visible light?) and add a test line to your code, the Arduino would "know" if the light is on. Your second circuit could remain as presented, while the sensor would provide a status of the light. If the light failed for an unknown reason, the code for your Arduino would not know the difference between that and a manually opened override switch. Not the answer you're looking for? Browse other questions tagged relay system-design or ask your own question.